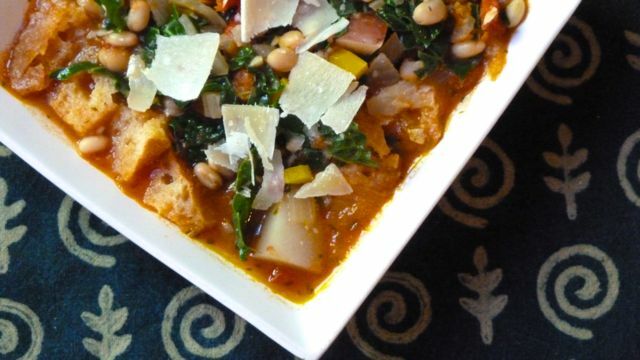 This classic Italian vegetable stew is hearty and heathy—loaded with beans, leafy greens and a comforting layer of artisan bread at the bottom of the bowl. You can vary the ingredients depending on what you find in the market, or tucked into the crisper drawer at home. 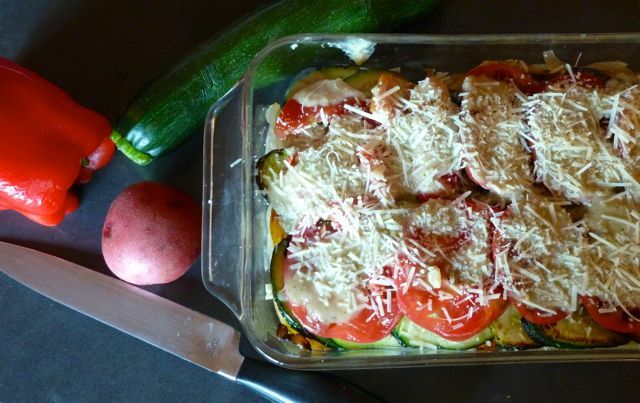 Try a bit of zucchini or cauliflower. Turnips or parsnips would be perfect, too. 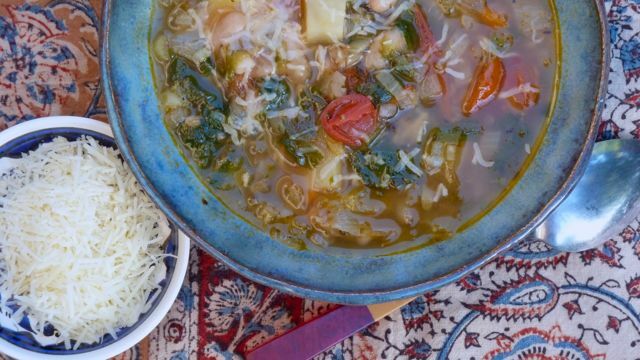 A Parmesan cheese rind (an inch or two) tossed into the broth, as the soup simmers, is an old Italian trick that adds wonderful flavor. But no worries if you don’t have one, just add a bit more salt and a healthy sprinkling of Parmesan on each serving. Ribollita is more of a stew than a soup, if you prefer something more brothy, simply add a bit more stock (or water combined with a tablespoon or two of tomato paste) to the mix—up to two cups. We love a mystery. Preferably with a trail of clues, a touch of suspense and opportunities to toss our who-done-it theories around at the dinner table like amateur sleuths. This journal has chronicled such before—tales of monster zucchinis, mystery vines and compost packages. It’s been a while though, so when our youngest decided to clean her room recently it was only fitting that a puzzle emerge—along with a mountain of dirty socks. An entire head of curly-leaved escarole goes into this pot. 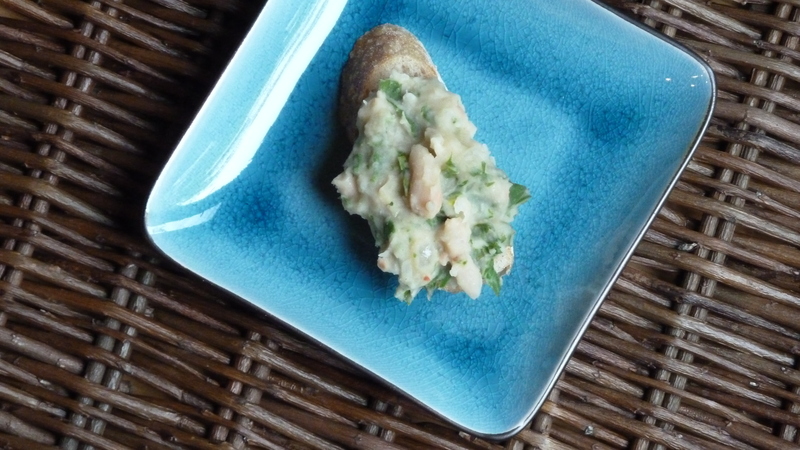 The slightly bitter flavor of these winter-loving greens compliments creamy Italian beans. If you have a hard Parmesan rind left after the cheese has been grated away, don’t toss it out, throw it into the pot. It’s an old trick that add lots of deep flavor. Be sure to fish it out before serving though, or someone will receive a gooey surprise. If you cook your own beans rather than using canned, save the cooking liquid and substitute some for the broth. Freeze leftover soup in plastic containers for a quick dinner or lunchbox choice. 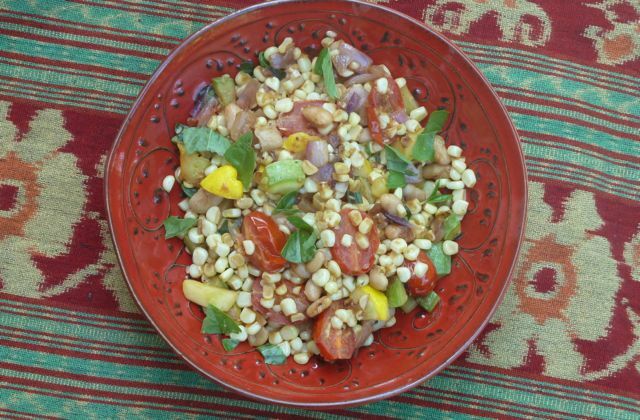 Succotash is an old-fashioned American dish composed of corn cooked with lima beans. You may have seen it at a Thanksgiving buffet, happily situated along-side jello-molds and marshmallow-topped yam casseroles. This version takes the spirit of the original down a divergent path, more Italian than American—sautéing the vegetables with garlic, summer squash, creamy cannellini beans and handfuls of fresh basil. The vegetables caramelize in the pan as they cook, and the end result is full of deep flavor—a far cry from Thanksgiving. Just right for summer. Leave out the squash if you prefer, or substitute bell peppers in season. Arugula would be a nice addition as well. We adore white cannellini beans — a mild, creamy-soft source of delicious, low-fat protein. They pair nicely with lemon and any green leaf. This dish works in its chunky form — or you can chop the greens finely and mash the beans as they cook, for a smoother spread. A super quick turn with the immersion blender does the job.